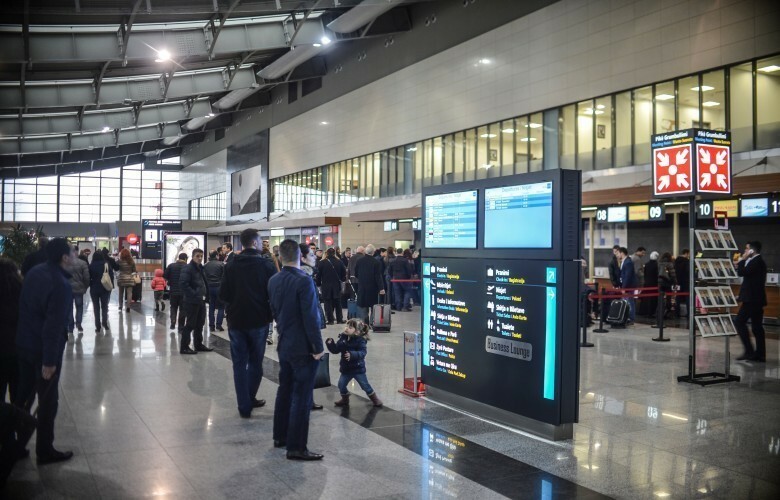 Pristina Airport has registered its busiest first quarter on record by handling 476.154 passengers over the three-month period, representing an increase of 13.9% on 2018. In March alone, it welcomed 169.108 travellers through its doors, up 12.4%. Overall, Pristina Airport added 58.020 passengers year-on-year. Last week, Norwegian Air Shuttle introduced flights from Stockholm to Pristina, while several airlines have increased their frequencies to the city for the summer season. So PRN is officially ahead of SKP now?! Well, not certain what you mean by 'officially' now as PRN has been ahead of SKP for over 15 years. It appears that PRN is ahead of SKP during Q1 of this year too, but it's very close and SKP is getting a significant Wizz Air expansion this summer season. Nonetheless, it does not matter who's 'ahead.' Both airports can thrive. I wish that this childish obsession ends soon, SKP overtakes PRN and we live happily ever after. P.S. TK seems to have pulled off the move to the new Istanbul Airport reasonably successfully. Services from to IST have experienced a disruption since Friday and yesterday evening was the first flight from PRN to the new IST. It'll be interesting to see what, if any, influence the new IST airport will have on the passenger routing in terms of hubs such as FRA, MUC, VIE or ZRH. Fully agree. Both airports thriving, more options for everyone. Now with the new highway, it should get even more convenient. Yep, once the last segment is opened, travel time from Skopje to Pristina should be 45-50 min. Right now it might take something like 1h15min, but this isn't taking in account the wait times at the border. Depending on the time, it takes max 20 min of waiting. How can an airport not having a major airline basing its aircraft nor a flag carrier generate so much traffic? This is simply crazy. With such high frequency to Vienna, Frankfurt and Zurich PRN is actually well connected to international flights. Wow amazing, I did not expect these numbers! The newly started routes give the people actually a chance to fly to PRN. 2 years ago you had always to fly via Vienna, FRA and ZRH. Now you got for example Stockholm, Oslo, London, Dortmund etc. with multiple weekly flights. So how many passengers can we expect in the future? Unfortunately mass migration is a great contributor to these numbers but good thing is that these people are finding better luck in the west and can actually afford to visit home more often now. I read the other day that Germany alone issued 38.000 work permits. No wonder so many flights are added to Germany but I also wonder if it's time for LH to return. I see them handling 2.5 million this year. As long as i can remember, Prishtina always was a good performer. Already so in the early 2000s. Solid growth for PRN. If it wasn't for the Visa restrictions, this airport would easily hit 3 mln passengers this year!